A general gaming thread for MS consoles and games. Bigger games like Halo will get their own thread. I posted this on Twitter but it's true, there's probably more N64 games available on Xbox One than there is on the Nintendo eShop, great work Nintendo! Matisfaction wrote: I posted this on Twitter but it's true, there's probably more N64 games available on Xbox One than there is on the Nintendo eShop, great work Nintendo! Yep. I was looking at the numbers a couple months back and it's great how that worked out. I think the Xbone has had them for a while as well, only took Nintendo three years, well done lads! 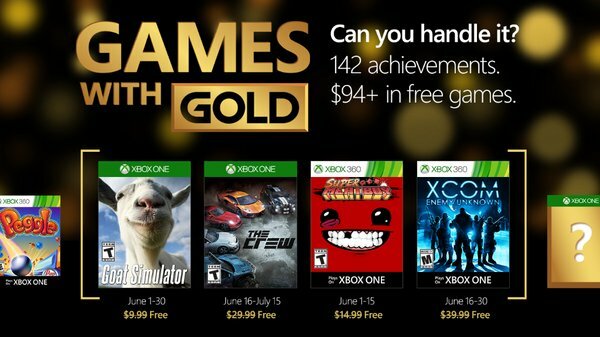 Gold games for May.. Is grid 2 any good? I don't know about Grid 2, but Defense Grid 2 is pretty cool. Doesnt look promising, but you can't grumble with the last few months. Dr. Zoidberg wrote: It looks alright. Looks pretty decent, also online multiplayer and local co-op look cool. When it comes to system exclusives, the idea of a £40 game helping increase sales of a £400 console often seems ridiculous with them very few giving in to the temptation to buy the new system for an exclusive. One of the biggest exclusives in recent years has been the Halo series, offered to Xbox owners while PC releases stopped after the first game. Now it would seem Microsoft want to encourage even more games to bring together Xbox and Windows users with Halo 5 getting a PC release, with a twist. The version of Halo 5 that will launch on Windows 10 “later this year” will be free for everyone and goes by the name of Forge-Halo 5: Guardians Edition. The catch to getting the latest game in the series for free? Firstly you’ll be stuck without a single-player campaign, putting all of your time into the games multiplayer. The multiplayer however won’t include matchmaking with random opponents, instead forcing players to play with people on their friend’s list on any Forge map they create / download. Forge mode was created in Halo to let you lay down objects and rules in a map and then play their custom game as long as they want with custom kill counts, time limits or your very own win conditions. With support for mouse and keyboard set-ups, the PC version is coming with everything from 4K resolutions to the ability to share your custom maps from the PC to Xbox One. Are you excited about this? Will you hold out for the next game in the Halo series and hope that it comes to PC in its full glory? Share your thoughts with us in the comments below. The Engineers update will release on May 26 for all Season Pass holders alongside a large, free update for all players. Quick question. Can a gold member gift a game to a non-gold member? Tales of Vesperia is only $3 for gold members, and I'd really like to have that. melancholy wrote: Quick question. Can a gold member gift a game to a non-gold member? Tales of Vesperia is only $3 for gold members, and I'd really like to have that.